Are you looking for a moving company that will offer the best quality services? You found it! A & L Moving LLC is your BEST Choice. When it comes to finding a trustworthy and hardworking Texas Hill Country Moving Company, look no further than A & L Moving LLC. We are a licensed and insured moving company in Fredericksburg Texas. We are ready to serve our customers locally and throughout the state of Texas. We will accomplish both residential and commercial moving jobs to your highest satisfaction. With numerous moving companies serving the Texas Hill Country area, it may be difficult to find the right Fredericksburg moving company to suit your needs. Rest assured you made the right choice by selecting A & L MOVING LLC. A & L MOVING LLC is a Hill Country mover that provides accurate moving estimates that detail all costs up front. We provide a single point of contact from your first call ‘til the last box is safe in your new home. We blanket wrap and properly protect all furniture to ensure safe transport. 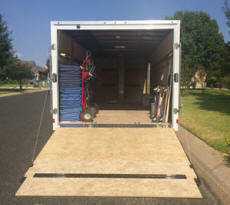 A & L MOVING LLC is a Fredericksburg TX moving company that prides itself on going above and beyond our customer’s expectations. At A & L MOVING LLC we are a mover that knows better than anyone that our success is your satisfaction. Moving isn’t always easy, and it can go hand-in-hand with some of life’s most difficult moments, but no matter what the challenge, we will always face it with your best interests in mind. Our cheerful representatives will work diligently to ensure your move is handled with care, and will equip you with all the tools you need to get through move day with a smile on your face. We promise the experience will move you. Why remodel when you can rearrange? We can save you tons of money by rearranging furniture to give your home or office a new open and spacious feel! Got a party coming up? We can make enough space to turn your home into the prime spot for your next engagement or special event. Staging: We can help you get your home ready for sale. You don’t have to deal with the added stress of balancing your life with in-home or intra-office moving. We’ll alleviate the mental stress of moving furniture or clearing a space within your home or office building! What Sets A & L MOVING LLC Apart From Others? A & L MOVING LLC will begin by earning your trust with honest and reliable service. A & L MOVING LLC understands the importance of clear communication with each customer. We will strive to meet and exceed your needs. A & L MOVING LLC is a business driven by a deep set of core values. We stand by honesty, integrity and trustworthiness to provide you with superior service at affordable prices. Unpacking Service - Let us unpack your boxes, and arrange items in your new home. This Texas Hill Country moving company site written, hosted, and maintained by HUEY Productions.